The Tians signed former All-Pro wide receiver Andre Johnson last Saturday. It is hoped he still has something left, and can be a valuable addition for the Titans, both on and off the field. 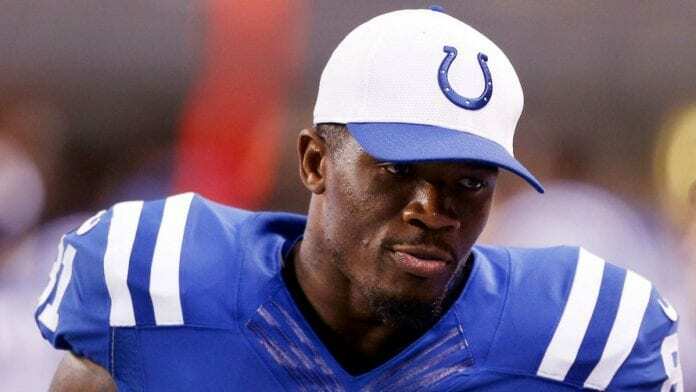 If the Tennessee Titans had acquired Andre Johnson four or five years ago rather than last Saturday, there’s little doubt everyone around the NFL would have been impressed. Johnson has been a major thorn in their side for much of his career, and has amassed stats that are surefire Hall of Fame credentials upon his retirement. But Johnson is now on his third AFC South team in three years, and last sea- son with the Indianapolis Colts was among the worse he’s endured. Johnson had only 41 catches for 503 yards and four touchdowns while starting 14 of 16 games. His averages of 2.6 catches and 31.4 yards a game were also quite low. However it is a yardstick of just how poor the Titans’ receivers performed last season that even those totals would have led Tennessee. The Titans’ receivers were awful last year, the worse in either conference. Kendall Wright and Harry Douglas tied for the team lead in receptions with 36, though Wright was injured much of the season. The hope is that Johnson, who reportedly signed a two-year deal has something left in the tank, and can also help as an on-the-field coach for a receiving unit that needs all the assistance it can get. His track record is quite impressive. He has 1,053 total catches, 1,012 as a member of the Houston Texans. He has 51 100-yard receiving games in his career, and ranks eighth among NFL receivers in catches and seventh in yard- age, while being the Texans’ all-time leader in touchdown receptions and receiving yardage. Even last season the Colts raved about his technique, even though he also was increasingly unable to get open late in games. It is a big season for some Titans receivers, notably high draft picks Kendall Wright and Justin Hunter, as well as veteran Douglas. The Titans’ will most likely keep only six receivers, and at the start of training camp, none of those names were among the starters. A fifth- round draft choice out of Massachusetts Tajae Sharpe was starting ahead of both Hunter and Dorial Green-Beckham, widely considered the most physically talented receiver, but someone still learning the position. Before Johnson was acquired, the team was supposedly counting on Douglas to provide veteran leadership and guidance to the receivers. But head coach Mike Mularkey, while repeatedly insisting that the team will only keep the best among the unit, insisted that none one should assume anything about any receiver based on Johnson’s signing. If any of them can learn anything from Johnson, and it turns out he has something left as well, his acquisition will prove a good one. At the worse, it gives Tennessee another savvy and experienced veteran.